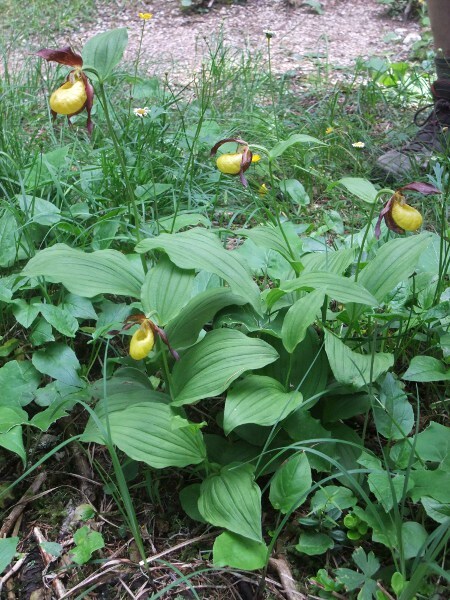 At one time, only a single plant of Cypripedium calceolus remained in the wild in the British Isles. It has always been more abundant on the continent. 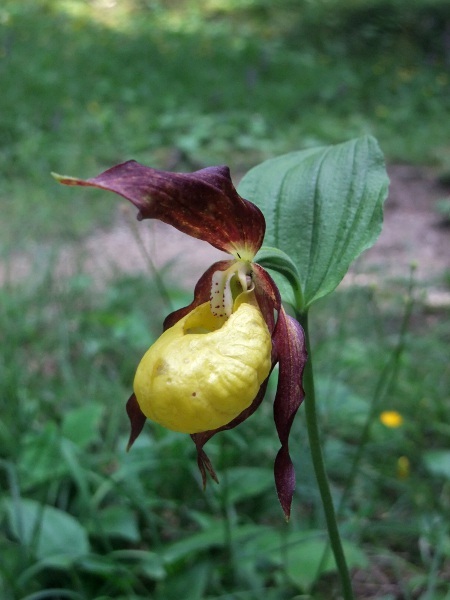 The flower of Cypripedium calceolus is unmistakeable.